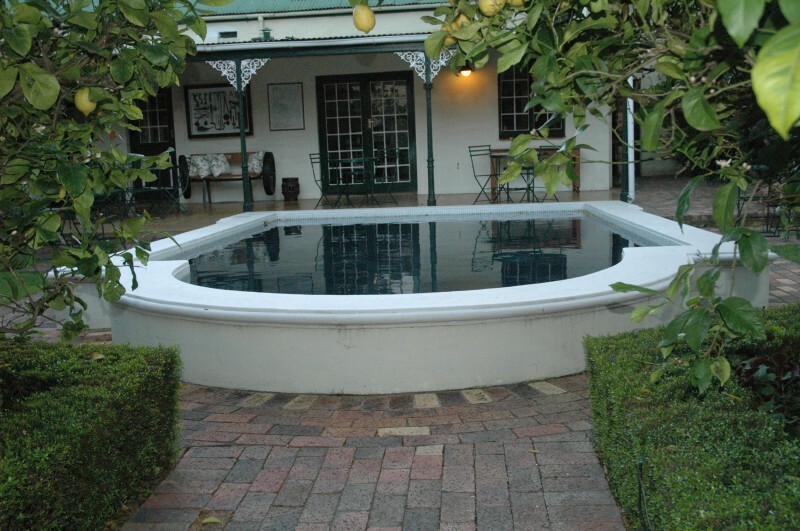 Victorian styled guesthouse furnished in the style of a bygone era for the discerning traveller. Very quiet and yet central in the old part of the village. 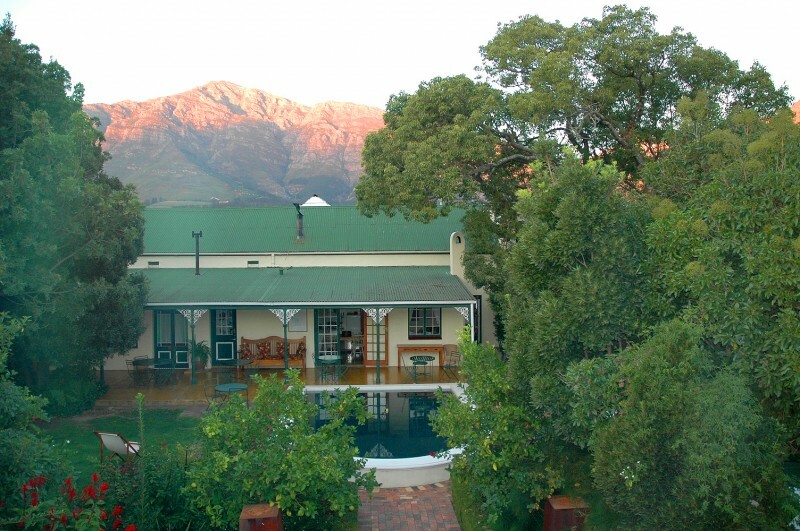 Auberge Bligny is an 1861 homestead in the historic centre of Franschhoek. 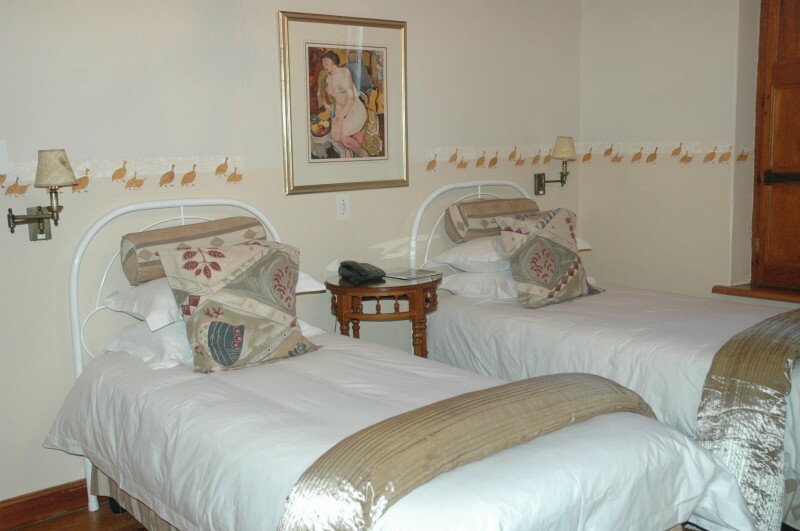 It opened as a guest house nearly two decades ago, is owner managed and has 7 en-suite bedrooms. 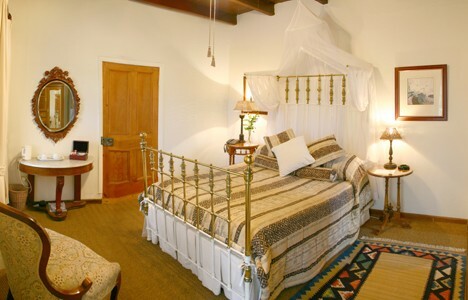 There is a romantic honeymoon room and some rooms with interleading doors (ideal for families or groups). Breakfast is served - in summer on the the pool terrace. 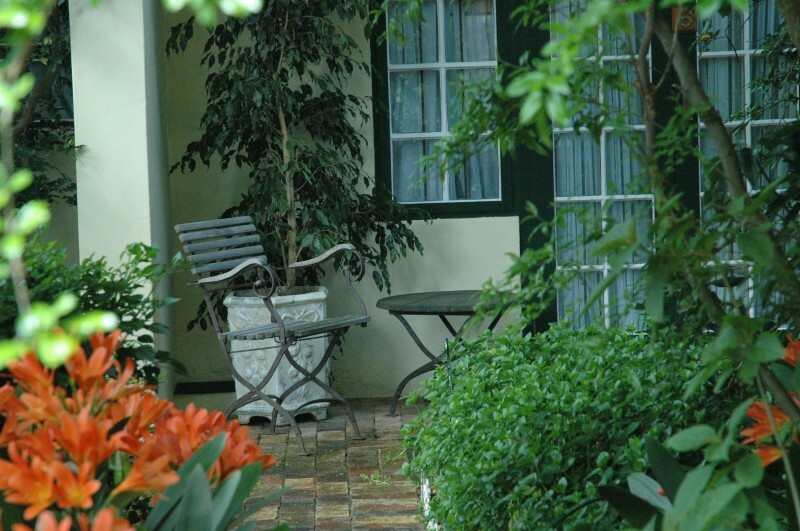 Many of the restaurants and shops for which Franschhoek is famous, are within easy walking distance from the guest house. 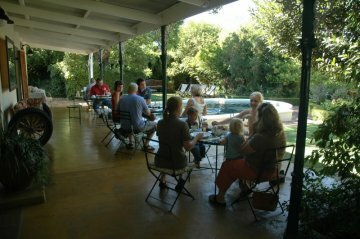 Stroll to a wine farm for some wine, and on the way back stop at the formagerie for cheese and bread to enjoy at Auberge Bligny - the kitchen and garden are always at the disposal of guests.